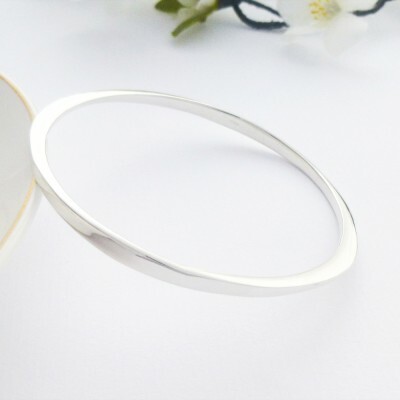 The Kimberley Solid Silver Bangle is a beautiful, modern and stylish bangle featuring two thin edges and two wider edges. 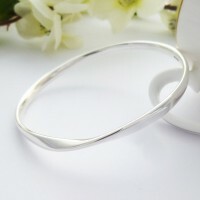 A funky, elegant and glamorous bangle, you will love this sterling silver bangle! 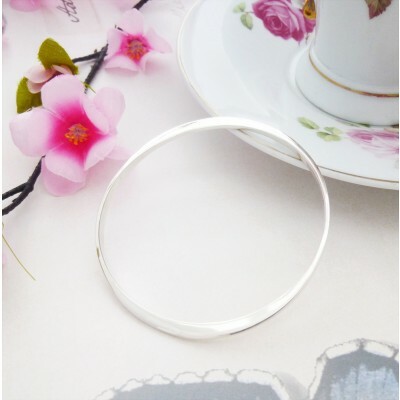 We adore the blend of widths from thick to thin on this stunning, shiny sterling silver bangle! It has a beautiful shiny finish and looks sharp, edgy and chic on your wrist. The Kimberley solid silver ladies bangle fits most medium sized wrists and the internal diameter of this bangle is approximately 65mm wide. The thickness of the widest edge is approximately 5mm wide and the thinnest edge measures approximately 1mm wide. 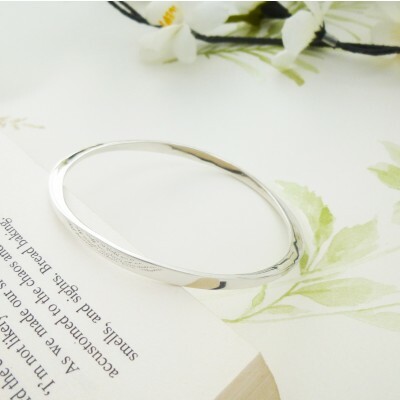 This bangle is hallmarked and made out of 925 Sterling Silver. 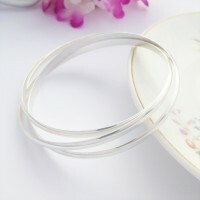 The Kimberley Solid Silver Bangle features two wide edges and two thin edges. 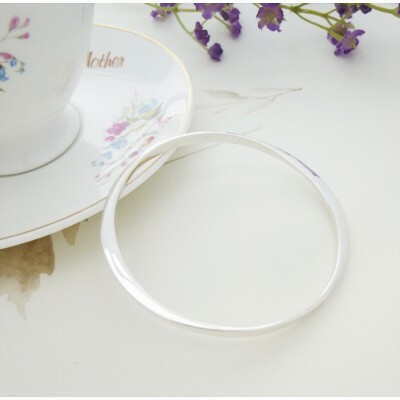 The internal diameter of the Kimberley bangle measures 65mm wide.